We love to frequent our local theatre. It’s close to my house, the parking is free, the have amazing shows that vary from comedic, children’s theatre, solo performances and more. It’s a small and quaint theatre that allows every set to be the best seat in the house. You leaving like you were apart of the show, and leaves you wanting to come back for more. 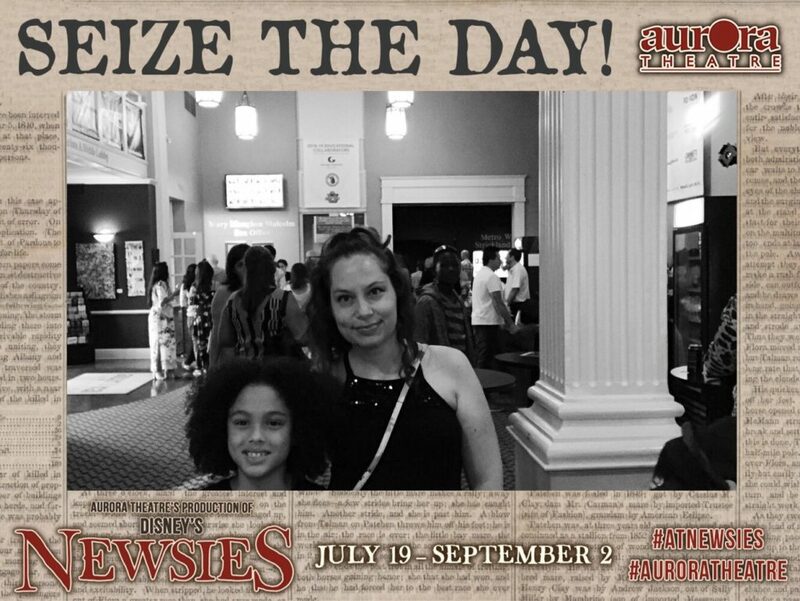 Recently, we viewed their current running show DISNEY’S NEWSIES. Aurora Theatre still hasn’t disappointed me. 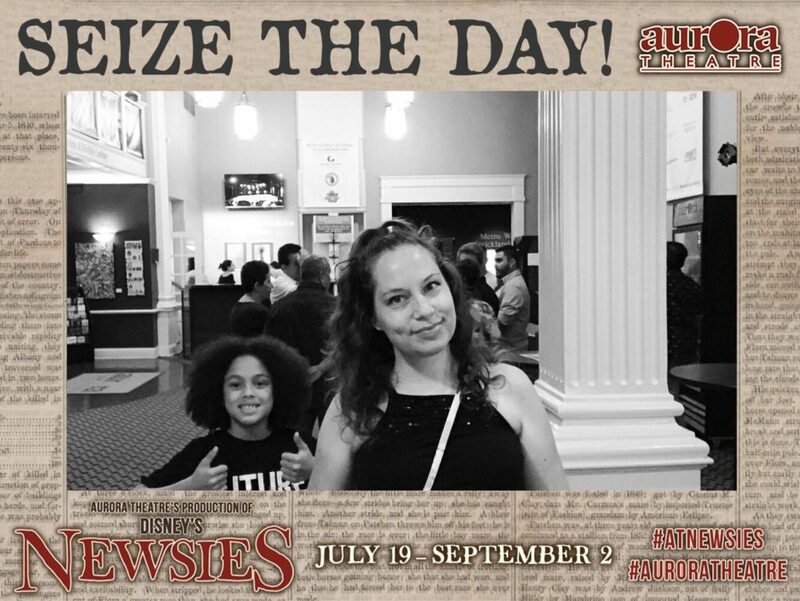 This was our first time viewing DISNEY’S NEWSIES. The show is spectacular in the least, and there are some great things that everyone can learn from watching the show, of which I’m sharing with you today. From the beginning to the end of the play, you see that it takes all of the NEWSIES to make something happen. All of their voices together made a difference. 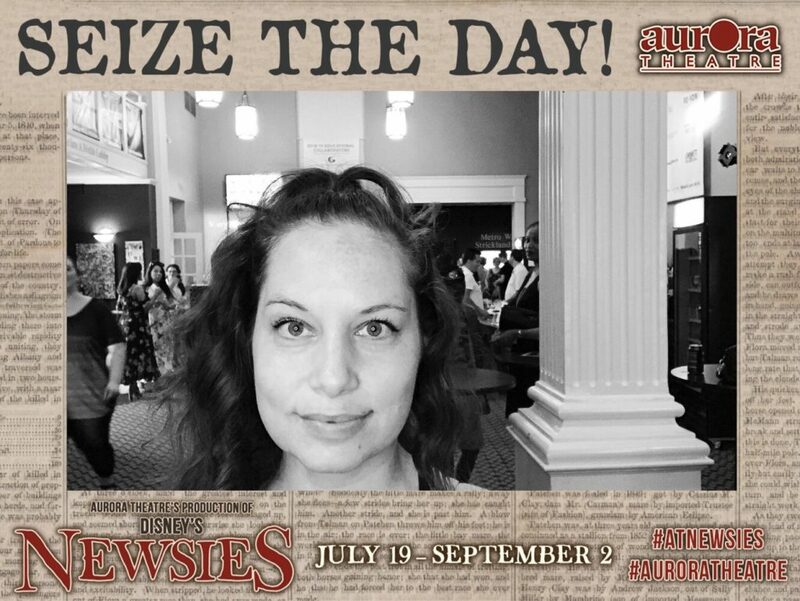 Everyone ended up having a role that they excelled in that played a part in the outcome of the NEWSIES standing up for what they believe in. By working together they made a difference. You can either sit on the sidelines and watch nothing happen or stand-up for what you believe in and make a difference. From Katherine Plumber (the reporter played by Adrianna Trachell) to Jack Kelly (played by Greg Kamp), they stood-up for what they believed in and fought their fight to the end, making a way for the NEWSIES to get what they deserve. Jack Kelly also sought out to gain insight for world to see what they’re worth and even to shine some light in the Refuge, a facility where orphaned children could end up, if caught. Katherine Plumber was a woman in a mans world trying to make a name for herself as a reporter. This didn’t slow her down but only fuel her to prove to everyone that she has what it takes to be a reporter worthy to write for any newspaper. Katherine saw a story that need to be told and put her all into it to see that the story makes it to the public. 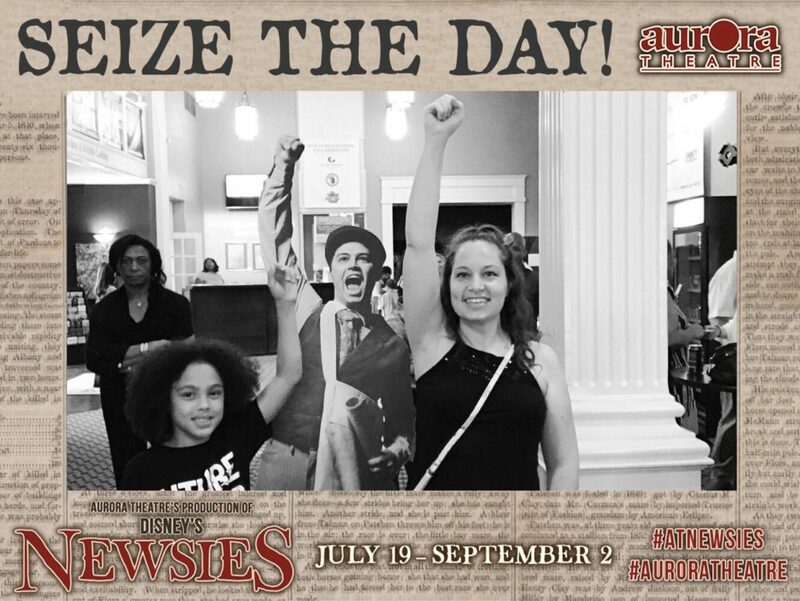 The NEWSIES were the reality of hard work pays off. They worked for little to nothing day in and day out. When the NEWSIES found out that they were being forced to paying more for the same amount of papers and in return getting less money for themselves, they decided it was time to unite and work hard to get what they deserve. All-in-all, what I took from the play is to never give up. Katherine didn’t give up her dream of becoming a reporter, reporting news that made a difference and not what was acceptable for a female to write as a reporter at that time. Jack Kelly didn’t let go of what he felt strong about, the NEWSIES getting paid for what they deserve. Also, Jack had a high priority that all will know about the refuge and what it is like for kids. Speaking of the refuge, Crutchie (portrayed by Russell Alexander II) never gave up knowing that Jack Kelly would rescue him from the refuge. None of them gave up, they were persistent to gaining the respect that they all deserve, no matter the circumstance. Persistence paid off, they didn’t give up, they pushed on and as a unit, they seized the day and made a difference. 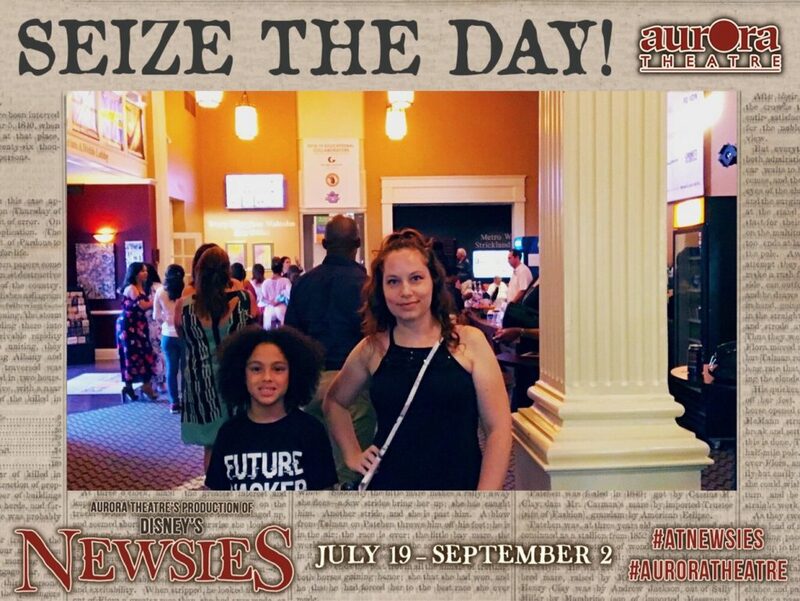 You can expereince DISNEY’S NEWSIES at Aurora Theatre now until September 2, 2018. Get your tickets HERE. Hurry, they are selling out fast! 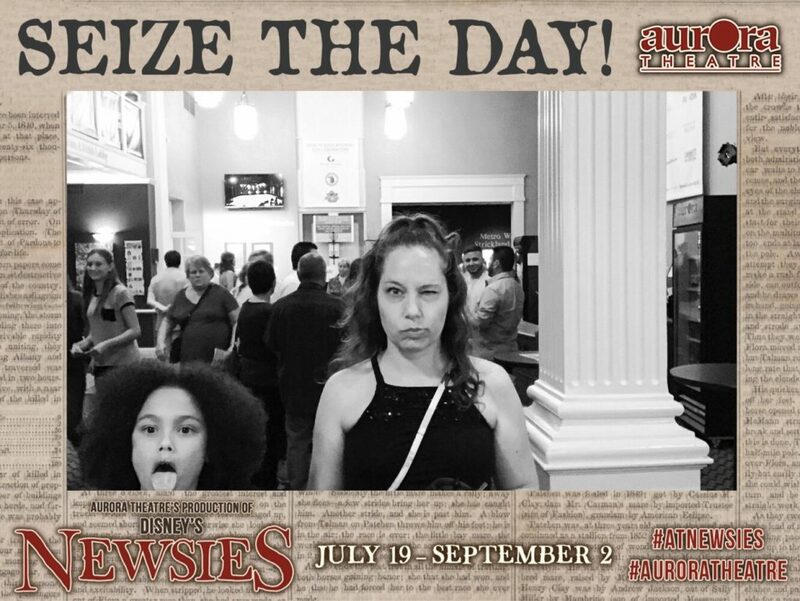 We had some fun taking photos at Aurora Theatre’s production of DISNEY’S NEWSIES. Check them out!